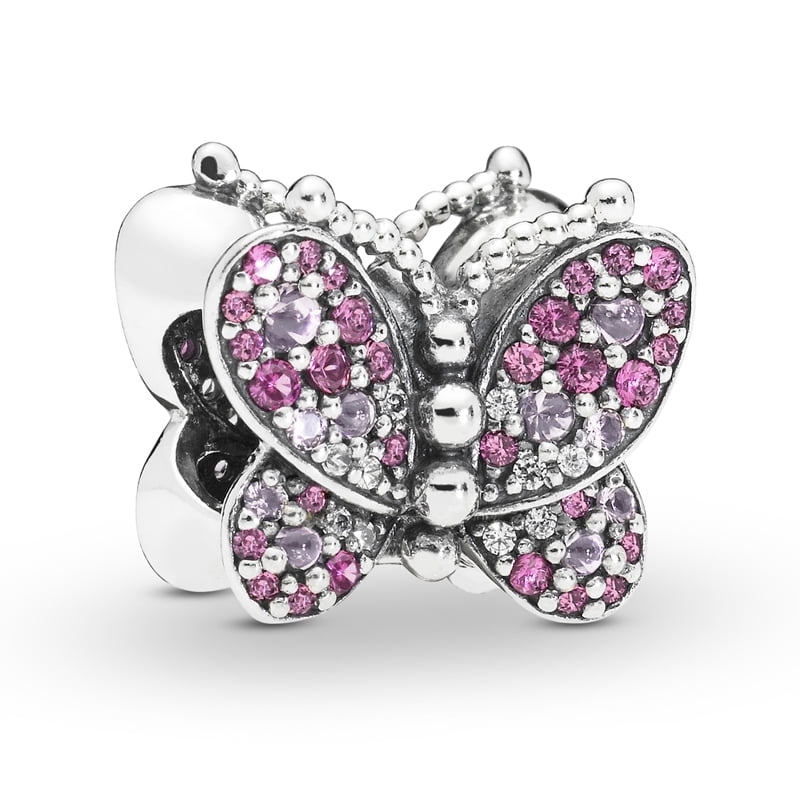 PANDORA Dazzling Pink Butterfly Charm. A dazzling array of colour, with shades of fuchsia pink and glittering clear cubic zirconia this stunning butterfly charm is a must have statement piece. This eye-catching charm is the perfect way to commemorate a significant period, particularly those that involve transformation or freedom.